Personally I think the 21 milllion coin idea satoshi had was a pretty good way to get people involved in Bitcoin. By making sure everyone knew there were a limit they would feel like it could be a lot more valuable in the future. I think satoshi released bitcoin not to create wealth for himself but to actually push an idea out there, and he has been very successful at that. But there are a lot of people who criticize his 21 million coin decision, saying its not fair, that its ridiculous. I know from the solidcoin days some supporters wanted an economic model which was deflationary, a fixed supply that becomes more rare over time. I never liked that model for SolidCoin (which had a different aim than btc) because I knew that the common person who is from the current debt slavery system will never understand it. I also think an ideal currency is one where the value of a unit doesn't change. I think the common person wants that too, they want 1USD to stay 1USD in a years time, not to be worth 0.95 USD. I think the problem with the 21 million coins in Bitcoin only comes about if we are to consider Bitcoin becoming hte defacto world currency, which a lot of supporters think it will. If we consider Bitcoin a rare commodity, like digital gold, the 21 million coins isn't such a bad thing. What do you think? I totally agree!! BTC from the start with the 21M limit built in was destined to be a rare commodity. 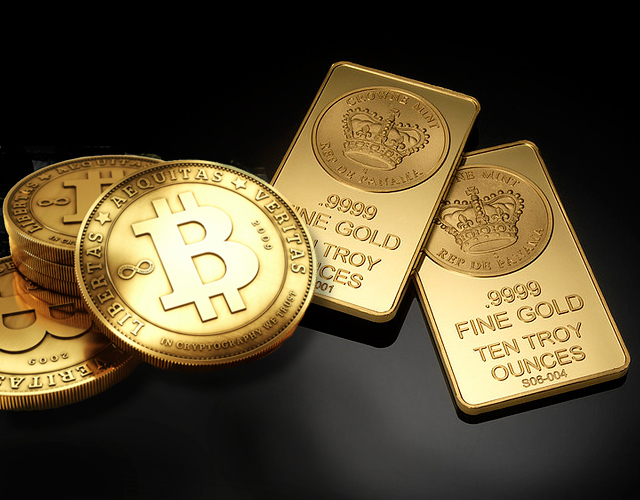 If there will only be 21M metric tons of gold on the face of the earth, why on earth would I want to trade it as an everyday currency (too heavy, expensive, time consuming... sounds a lot like BTC)... Let BTC become what it was designed to be (if the supporters don't drive the development into stagnation which appears to be the direction its headed) and let the best "true" everyday currency that everyone is going to love like MCD's rise to the occasion and take cryptocurrency to the next level. From a currency stand-point the limited creation is counter-productive. But, when you consider what bitcoin actually is: a crypto-commodity than the 21million coin cap/limit is actually not a bad thing imo. That being said, I think having even less coins like say 10million such as MinCoin has is even better from a crypto-commodity point of view, but then again, I am probably a bit biased! MicroCash, The Digital Currency Payment Solution. MinCoin, The #1 Crypto Commodity. I think rarity is only important for people who are in control of much of the total supply. For the average user stability over time is important since nobody wants to be the guy who bought a pizza for "10k btc". On the other hand nobody wants to be the guy who sold tons of pizza for "only 10k btc" each if history went differently. The key factor for success is to be able to exchange the currency for goods and services at a fixed fiat like exchange rate. The worst case scenario would be if people fear to loose money if they use the coin to pay stuff with. Important is to find a way to increase the supply without devalueating the existing supply. In other words this means we have 100% supply and add another 10% which is evenly distrubuted to all accounts. Now we have to make people give those new 10% they received away into the market. I am not aware of how to make people give this additional 10% away but if there would be a market dedicated for those fresh coins it could work. I can imagine either something based on crowdfund mechanics or some sort of monthly auction style selloff. if nobody bids there may be no demand and if nobody sells people want to keep their coins and no new are issued. maybe such auctions shall require manual intervention to remove own coins from while devalueating dead accounts. Not sure if I'm right on this nor if it makes sense yet but imagine I am! You make good points fellow but I don't know if anyone can pretend any more that Bitcoin aims to be a currency in the way you mean it. Pretty much from day dot everyone hoped that one day 1 satoshi is worth a $1 . If you build an economy around this system it would be very difficult as you will always need some "base currency" to put its value into perspective. People use USD for this currently. I hope in the future some cryptocurrency that aims to replace fiat with a free and open system will be used instead of USD. I hope Bitcoin can be valued highly forever because if it is then it is a good sign for the rest of the industry, even if they have different goals. There is nothing static about it's real world value which is obviously very changeable. One day 1 BTC is not sufficient to buy a pizza. Later it is sufficient to buy 20 pizza's. The only real issue may be if it becomes impossible to buy a pizza with 1 satoshi. There is no limit to how many decimals they can put in actually. It is just using a 64bit integer now to store it but it wouldn't be a game breaker to support 128bit. Though I think it would require a hard fork. The concept that 0.00000001 satoshi can buy a beer one day, and the next day it can buy 2, well you cannot really price goods in this fashion. I think the common person wants that too, they want 1USD to stay 1USD in a years time, not to be worth 0.95 USD. "The Dollar buys a nickel's worth"
I think they did good to limit the supply, keeps the noise down. There's no problem at all Bitcoin having a limited amount of Coins. I'm reading "The Denationalization of Money" written by Friedrich Hayek, published in 1976, now. Hayek proposes that private currency competition will lead to better money for all of us, even the state money gets better. It's astonishing how he has foreseen the current developments. Every serious Altcoin has its right to exist. 21 Million bitcoins is cool, plenty of coins to trade and share around globally.